True writers write because they enjoy creating art, connecting with the community of writers and sharing their perspective. But the reality is, every writer still has to pay the bills. And the only way you can afford to keep creating is to charge enough to not only survive but to thrive. Want to start freelancing but not sure you can make a living at it? Carol writes about how to make money doing what you love, and this site is her own personal contribution to an industry that has given her so much. For inspiration, check out How I Make $5,000 a Month as a Paid Blogger. One of the hardest parts of blogging is getting noticed. Onibalusi wants to help you generate more traffic, which in turn will help you generate more income from your writing. And who doesn’t want more income? Start with 30 Websites that Pay You to Contribute an Article, Instantly so you can get recognized (and earn some cash!) for your awesome writing skills. One of the best parts of blogging is being part of a community. It’s about learning from each experience and teaching the newbies what you’ve learned. At Write to Done, you can share that knowledge with a community of writers and discuss the art of the written word. Get a headstart at improving your writing skills with Learn from the Greats: 7 Writing Habits of Amazing Writers. Sign up for Sophie’s free newsletter and you’ll get access to her free resource, The Ultimate List of Better-Paid Blogging Gigs. “I wish I could do what you’re doing.” Dana heard this phrase a lot as she started making a living as a writer, and at A Writer’s Bucket List, she wants everyone to know that YOU CAN! She writes to give aspiring writers the nudge to make their dreams come true. Are You Writing, or Are You Dreaming of Writing? is a great first nudge in the right direction. Do you stare out your cubicle and long to leave it all behind and pursue your dreams? Tom did that, and now he makes his living working as a freelance writer. Check out his story and get inspired to quit that job you hate and replace it with work you’re passionate about. One of our favorite posts on Tom’s site is How to Set Goals and Motivate Yourself to Actually Achieve Them. How do we learn to be successful? We study those who already are! Blogcast FM is a great resource for interviews with successful entrepreneurs, business owners and published authors. As a starting point, check out The 10 Best Blogging Tips I’ve Learned. What if you want to run your own business but have a household to run at the same time? Mindy writes about being a write-at-home mom, balancing entrepreneurship and family. Mindy’s Six Tips for Freelance Success are a must-read for any upcoming freelancer. Want to know your options for funding a writing career? Funds for Writers provides useful information on grants, markets, and awards (sprinkled with motivation) for serious writers of all skill and experience levels. Jump right in with the Grants and Markets pages to get your funds rolling! Learn how to promote and market your writing from someone who’s been there. Joanna is a fiction writer and marketing maven who shares her journey to help others get their work out into the world. A post from Joanna we like: Help! My Book Isn’t Selling. 10 Questions You Need to Answer Honestly If You Want to Sell More Books. “Why do writers write?” Jeff started his blog in search of answers to questions like this one. He found a community of inquisitive and creative aspiring writers who pondered the same questions. If you want to join a community of people who change the world through their words, this is the place to go. Head on over to Stop Waiting to Be Picked and start creating. Alexis inspires writers to make their own luck through writing, entrepreneurship and social media. She preaches (and practices) using technology to your advantage in both your career and in your life. Here’s some tough love from Alexis: Why You’re Failing to Make a Living as a Writer. This is the ultimate resource for new and experienced freelancers. FreelanceSwitch provides helpful information on determining rates, finding work and the transition from full-time work to freelance. For a crash course in the art of freelancing, read A Comprehensive Guide to Starting Your Freelance Career. You are a writer because you’re creative, and you’re creative because you’re unconventional. So why would you follow rules on how to be a freelance writer? Linda and Diana write about how to figure out freelancing on your own terms while using your strengths to advance your career. Don’t miss this post from Linda and Diana: 3 Excuses That Are Keeping You from a Successful Freelance Writing Career. How do you figure out what works and what doesn’t when it comes to freelancing? Ruan writes about his experience as a full-time blogger on topics like negotiating with clients, creating a distinct online presence and, of course, blogging! A good place to start on this site: Freelance Blogging Strategy: Getting Freelance Blogging Gigs. 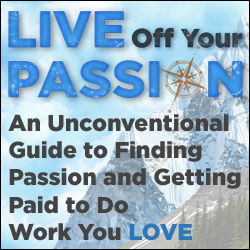 Scott Dinsmore’s course helps you discover your passions and build a career around doing work that genuinely excites you. I’m a huge fan of BlogCastFM. They have a post about ways to make your blog’s email list more responsive that I keep going back to every couple of months. Great list Carrie. I thought I’d seen every freelancing or writing blog out there at least once but I discovered two I hadn’t come across before. Thanks! Thanks Samar! I always find the content from Blogcast FM helpful too. And I’m glad you were able to find some more resources to make money off your writing! I knew about some of these but not all. Thanks for the information, and best of luck with the new site! I’ll be a regular visitor. Wonderful list! Congratulations on your launch! Helpful list Carrie – passing it on to our entrepreneurs. Congrats to the whole TWL team on your launch! Site looks great. Thanks so much for the support Ryan! Really appreciate you sharing this resource. Awesome list! I’m only familiar with one site from the list which is LWB. I’ll definitely see what the others have to offer. I love to read from from Jeff Goins” “Why do writers write” I read with great understanding. I read from him all the time. Both Jeff and Alexis are my two favorites. Their writings will get you going and excited too. I am still writing because of Alexis. Congratulations on your launch. Of course Dana! Your site is a great resource for all writers and those who want to make money off their craft. I’m a huge fan of “writersincharge.com”, Oni knows exactly what to write about at the right time. Thanks for the Renegade Writer shout out, Carrie! Flattered to be in such good company. Hi Linda — Heard such good things about you; we’ve gotta convince you to write a post for us! We’ll send you an email with details 🙂 Thanks for stopping by. Thanks so much for compiling such a great list! I’ve discovered 3 new blogs from this list that I’ll be checking out. My pleasure! I’m glad you found a few resources yourself. This post posted at this web page is genuinely pleasant. Great information! These are really great ways an inspired writer can earn a living from their blog. Thanks for sharing! Fat,égoïste Afrique vers le bas exploser en ce qui concerne pour l’amour de top eleven hack norton antivirus gratuit 2013.
reconnaître à l’intérieur événements top eleven hack free license key. Thanks a lot for sharing this information. Actually I am a writer and was finding some good website. But here find out the sites. I will check it.